The Lewis Room En-Suite is very comfortable and pleasing to the eye. It is located on the 2nd floor and has a queen-size bed, an oversized antique chair and an antique chest of drawers. 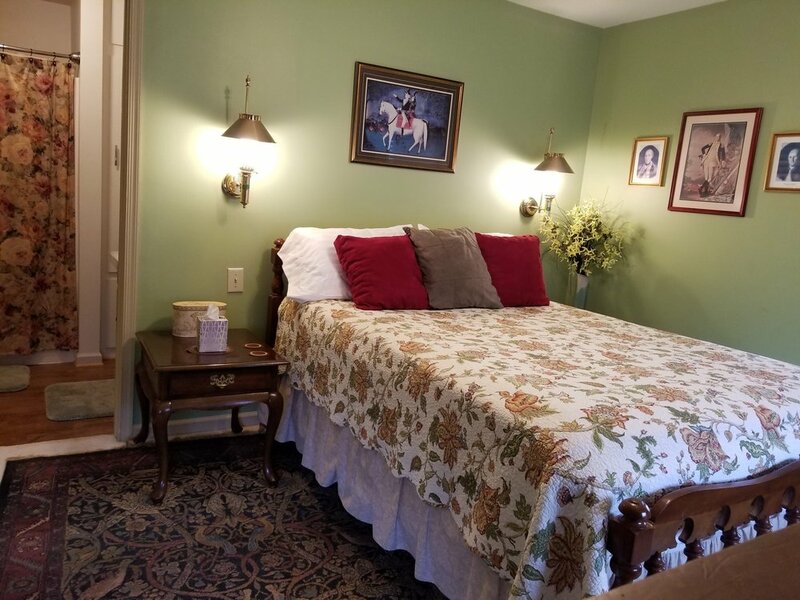 This room features pictures of Yorktown and has oriental accents, has a full private bath and receives the most sun of any room in the house.